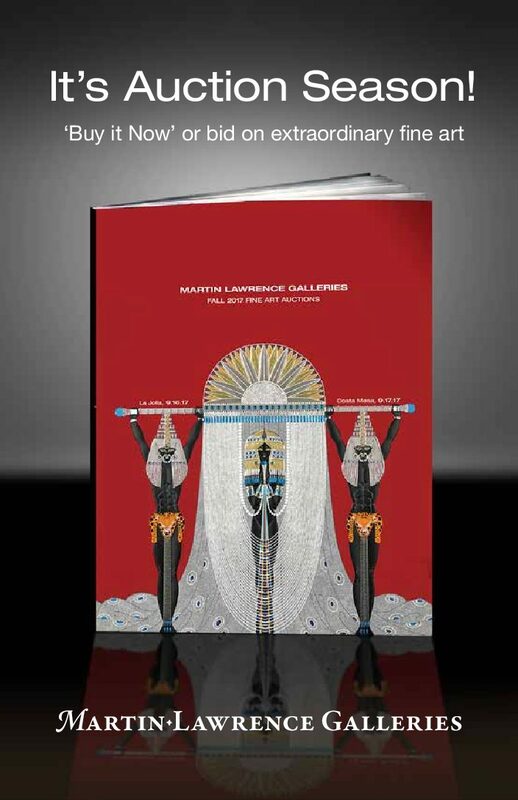 Martin Lawrence Galleries holds live auctions only twice a year! You won’t want to miss out on this rare occasion that will feature unique paintings, drawings, sculptures and limited-edition graphics available during this fall season. The event will feature a truly amazing collection of fine art from over 40 of the world’s most acclaimed 20th and 21st century artists. This is a fascinating opportunity for seasoned collectors and novices alike to acquire rare museum-quality artwork at an exceptional value. Reserve your free auction catalogue today and don’t pass up the opportunity to own one of these beautiful works of art . The event will be hosted by none other than Costa Mesa’s very own Avenue of the Arts Hotel on Sunday September 17th beginning at 2:00pm with a previewing at 12:30pm.